Solar can power anything…….even a computer lab. 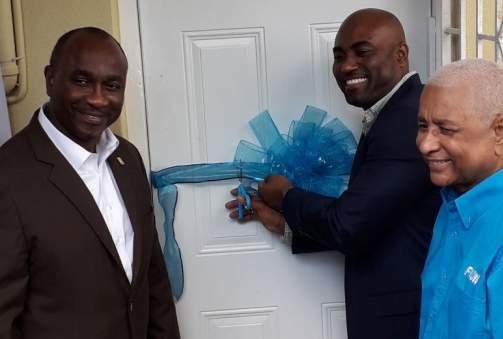 On Wednesday, December 27, 2017, the Ministry of Science Energy and Technology opened the first solar powered community computer laboratory in Sterling Castle, St Andrew, at the Alpine Mennonite Church in Red Hills, St Andrew. Effectively, this is an example of the Government and FLOW Jamaica working together to provide free and environmentally friendly Internet access to community members as pointed out by Executive Chairman of the FLOW Foundation Errol Miller, quote: “Working as a team, with our combined resources, we are better able to roll out cyber centres such as this one in Sterling Castle that are fully equipped in every regard so that the beneficiaries have very little to do but to turn on their computers and start working”. ‘The Link’ will link the community of Sterling Castle, St Andrew to the world via the Internet while reducing the operating cost by taking power from the Sun. Now if only they could throw in a Hydrogen powered cooking Gas Stove developed with research from UTECH and the UWI using water as the source of Hydrogen and the world would truly be a Better place.